Start off your visit on the 24th (Fri): make a trip to Plaza 14 de Septiembre, pause for some serene contemplation at Catedral de San Sebastian, take in the architecture and atmosphere at Iglesia y Convento Santa Clara, then make a trip to El Cristo de la Concordia, and finally admire the landmark architecture of Palacio Portales. 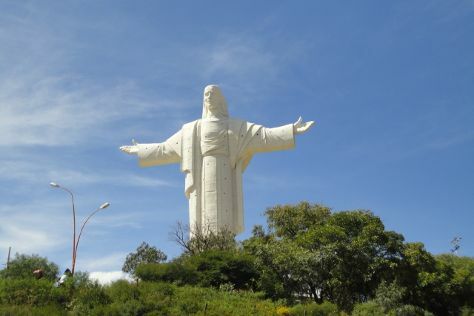 For where to stay, more things to do, and tourist information, read our Cochabamba online itinerary creator. If you are flying in from Iceland, the closest major airport is Jorge Wilsterman International Airport. In March in Cochabamba, expect temperatures between 30°C during the day and 14°C at night. Cap off your sightseeing on the 24th (Fri) early enough to travel back home.